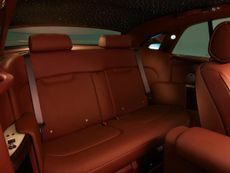 The Wraith is the most sporty Rolls-Royce ever made, a large and powerful luxury coupe that remains a luxurious, wafting experience, but with a bit of extra oomph. 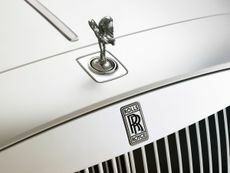 There are plenty of luxury convertibles on offer these days, but none quite like the Rolls Royce Dawn. Hand-built from the finest materials, and with the on-road character of a luxury limousine, the Dawn is a car with virtually no direct rivals. With the launch of an all-new version the company’s flagship saloon car, the competition to be hailed as the best car in the world just got a whole lot more heated. 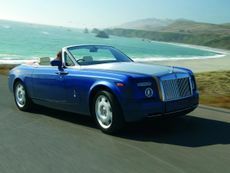 Read the Rolls-Royce Phantom Drophead Coupe convertible (2007 - ) car review by Auto Trader's motoring experts, covering price, specification, running costs, practicality, safety and how it drives. 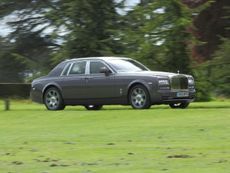 Read the Rolls-Royce Phantom Coupe (2008 - ) car review by Auto Trader's motoring experts, covering price, specification, running costs, practicality, safety and how it drives.